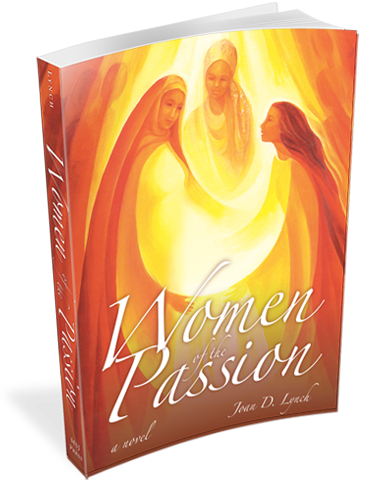 NAPLES, Florida – MSJ Press announces the release of Women of the Passion by Joan D. Lynch. An extraordinary novel that relives the drama and excitement of the early church through the eyes of the women who helped form it, Women of the Passion (ISBN: 978-09829640-0-2, Trade Paper, 224 Pages, $14.95) is now available nationwide. The days and weeks after the crucifixion and resurrection of Jesus Christ were both an exultant and harrowing time for His followers. Even as His followers were assured of their faith, they feared for their lives. During this time of tremendous upheaval, no one was exempt from danger: women who were early leaders of the church were in as much danger as the men. Women of the Passion places readers squarely in the middle of those dramatic days. A captivating story that is alternately touching and heart-wrenching, harrowing and triumphant, Women of the Passion is recounted through the eyes of the women who walked with Christ: Mary, his mother, Mary Magdalene, Susanna and Joanna, among others. Who were these women? What were they thinking, doing, and feeling in the months after the crucifixion? What kept them going despite efforts to stamp out Jesus’ followers? Women of the Passion offers thought-provoking and eye-opening insights into the lives of these women. Brimming with excitement, mystery, and religious fervor, Women of the Passion provides an incredible and fascinating fictionalized account of the aftermath of the crucifixion. Inspired by Scripture and crafted with extensive historical research, Women of the Passion takes readers on an extraordinary journey by allowing them to walk in the shoes of a group of women who let faith guide them when times seemed darkest. Powerful, inspiring and poignant, Women of the Passion is destined to stay with readers after the final page is turned. An exquisite novel that allows readers to experience the Passion first-hand, Women of the Passion is an imaginative and beautifully-told story of faith, hope and love. Women of the Passion is available wherever fine books are sold. Women of the Passion is available to the trade through Spring Arbor Distributors, Ingram, and ACTA Publications. Members of the news media wishing to request additional information about Joan D. Lynch or Women of the Passion are kindly asked to contact Maryglenn McCombs by phone—(615) 297-9875, or by email— maryglenn@maryglenn.com.